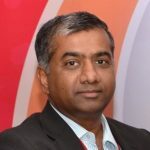 Srinivas Puppala (PBS) brings a unique experience of 16 Years from various industries like Consulting, Product Development, BFSI, Engineering Services, Pharma, KPO/Pharma Analytics and Academia. He is a Doctorate in Psychology with a Dual Masters in Education & Psychology with a PG Dip in Industrial Relations and Personnel Management. PBS has a background of being a change agent with HR Business Partner Role and Learning Capabilities. He brings in Innovation as an edge in what he does. As a qualified psychologist standardized few tools like Academic Stress Scale, Adjustment Inventory, and Study Habits Inventory for his doctoral program and later also get certified on MBTI & FIRO B Psychometric Tools. Underwent through the process of certification of Saville Accreditation Program and Trained for Behavioral Event Interviews and utilized in various leadership and critical hiring. Dr PBS joined GVK BIO in July 2012 from InfoTech Enterprises (now called as CYIENT) and prior to that he worked for organizations like CA technologies, Thinksoft Global Services (now SQS India BFSI Limited), ICFAI University and Deloitte Consulting. He brings in depth and breadth of expertise and skills. His specialties include – Experience in Change Management, Delivering consistent productivity and efficiency -leveraging People, Process, and Technology (PPT). Developing a strong Leadership pipeline in the organizations that he worked with and an ability to operate both strategically and tactically at the nuts and bolts as well.